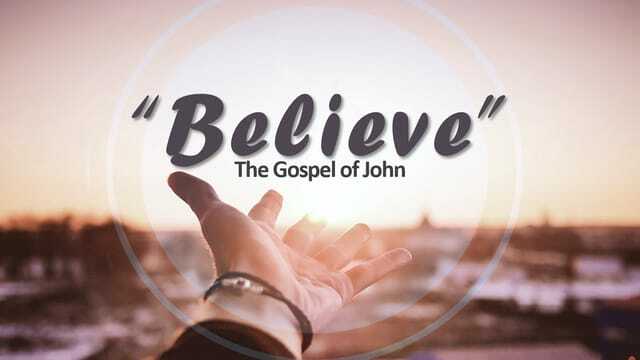 We begin a new series this Sunday called “Believe: The Gospel of John.” In the Gospel of John we will come to know Jesus better. We will see how Jesus identifies with God by repeatedly by declaring “I AM” …the light of the world; the resurrection and the life; the good shepherd; the vine; the living water; the way, the truth and the life. The glory and reputation that belongs to the Father is clearly seen in Jesus. John’s Gospel will both inform and challenge us on what it means to believe in Jesus. Lets answer the question of who Jesus is and why that is so important for us to know Him in “Who are you, Jesus? 1. God reveals ________________ to us in Jesus Christ. What is so important about knowing Jesus? 1. God reveals ________________ to us in Jesus Christ so that we may come to know God __________________. God reveals Himself to us in Jesus Christ so that we may come to know God personally. This is the Gospel of John and it’s the story of John’s life, a hotheaded commercial fisherman who became the beloved disciple who was a fisher of men. Do you know Him this way? Know Him enough to trust Him no matter what? Know Him enough to delight in reading His Word because He speaks to you personally through it? Know Him in a way that has given you an attitude of gratitude? That gives you light even in the midst of your darkness?